So you might recall the old workstation that I got recently, a Dell T3500, which performed very well for rendering 4k video – 12x faster than my ~4-yr old i5 Sandy Bridge laptop (see here). However, it could not stitch the photos or videos from the Samsung Gear 360 because its graphics card (Radeon X300) was very old and had no Windows 10 driver. I decided to get a decent graphics card for it. I wanted to get the new Radeon RX 480 VR-ready graphics card so that I could use it in a future PC but I was worried about compatibility with the Dell T3500, plus it was selling around $50 more than the list price due to demand. I opted instead to get a more modestly-priced graphics card, the NVidia GeForce GTX 750 Ti (around $120), which I had read was compatible with the T3500. Moreover, it had low power consumption and a lower operating temperature. And it didn’t even need external power. I was tempted to get the FTW version with two huge fans but it would not fit. Instead, the one I got was the SC (super clocked) edition by EVGA, which I found at under $100 bnew. 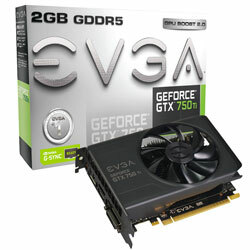 EVGA’s version of the GTX 750 Ti is relatively compact and is shorter than the MSI version. Stitching 4k videos took about 2 to 4 minutes per minute of footage. Stitching photos was nearly instantaneous, even at 30mp resolution. Rendering 10 seconds of 4k video took about 5 seconds. About 60 times faster than my laptop. I know it’s hard to believe so check out the video! The cost so far has been $270 for the T3500, $97 for the 750 Ti, for a total of $367 (excluding monitor, keyboard and mouse). The biggest bottleneck now is the hard drive. I plan to add an SSD drive next time. I’m hoping to get a good deal on Amazon Prime Day (July 12), which is just around the corner.